Experiencing flavor you can savor! 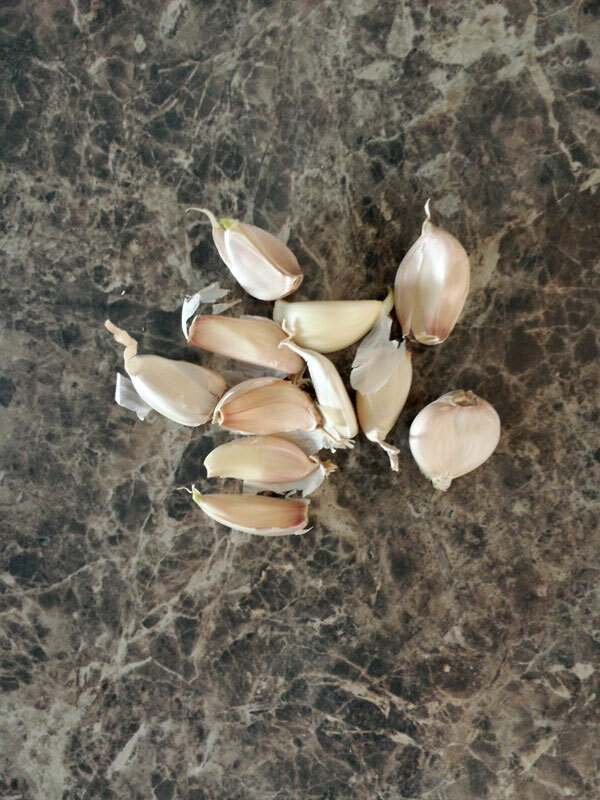 No doubt, last week was all about the turkey and stuffing but today let’s enjoy a dish where the star is one of my favorites…GARLIC! Lots and lots of GARLIC!!! Two of my favorite foods come together to make one carbo-loaded dish that will make your head spin with satisfaction. Plus it’s stress free…can’t get any better than that! 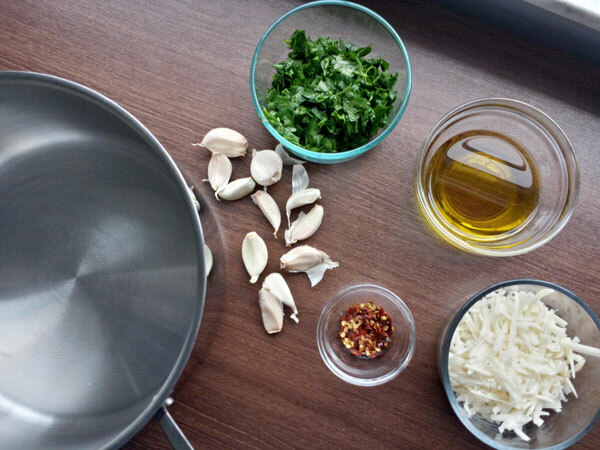 Garlic is the star of this recipe and we are using 8 (+) cloves sliced. I may have used more than that because I am a garlic fanatic. Just make sure the minimum amount used is 8 cloves. Cook in 1/3 cup of olive oil over medium-high heat. 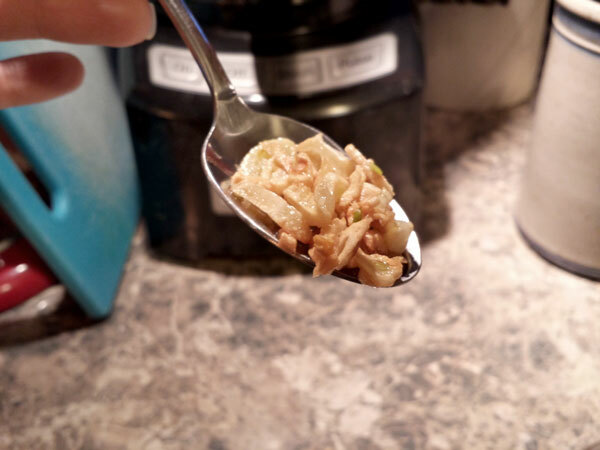 Stir often to make sure that the cloves turn a beautiful golden brown color. Burnt garlic is no bueno. Season with salt and red pepper flakes then add 1 cup of the pasta water. Allow to simmer till reduced by half. Honestly, I am so ready to dive in to this pot head first, but that would be bad…a trip to the ER should not be the result of this dinner. Hang on we are almost home! 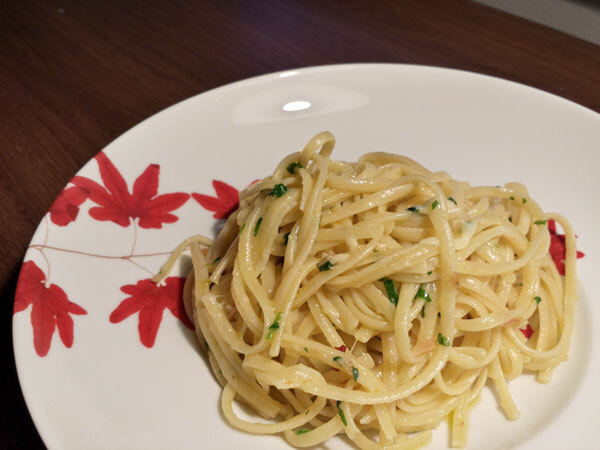 Toss in cooked linguine, chopped parsley and grated parmesan cheese and stir until all the noodles are enveloped by the garlicy goodness! I had good intentions of serving these noodles with a side of green beans or a bright arugula salad, but they were halted by this dish. This is a bowl of heaven…no sides required. I would also be remised if I didn’t mention that the leftovers (if you have any) are delightful with toasted panko breadcrumbs topped with a fried egg housing a rich, runny egg yolk. My mouth just salivates as I daydream about yesterday’s lunch. Happy Carbo-load!! In other news…has anyone gone Christmas shopping? I am in desperate need of gift ideas with a great deal to match… Let me know what you’ve found! 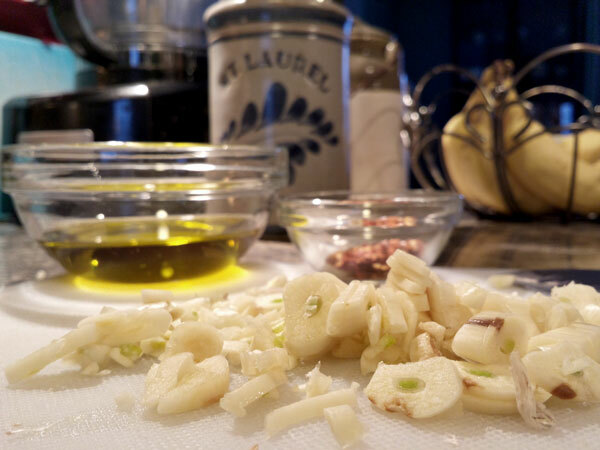 Meanwhile, cook the sliced garlic in the olive oil over medium-high heat until golden. Be sure to stir often in order to prevent the cloves from burning. Season with salt and pepper flakes. Add 1 cup of reserved pasta water to the pan and allow to simmer till it is reduced by half. 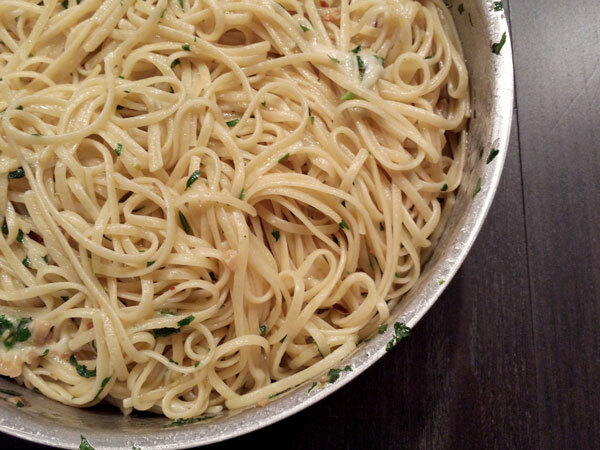 Toss in the cooked linguine, parsley and parmesan. Stir until noodles are evenly coated with the garlic sauce. Serve with a side of green beans, arugula salad or just on its own for a major carbo-load!